Save 52% on Amazon for a limited time! Hurry over to Amazon to score this 6-Pack of Top Bright Baby Crinkle Books for only $14.44, regularly $29.99. 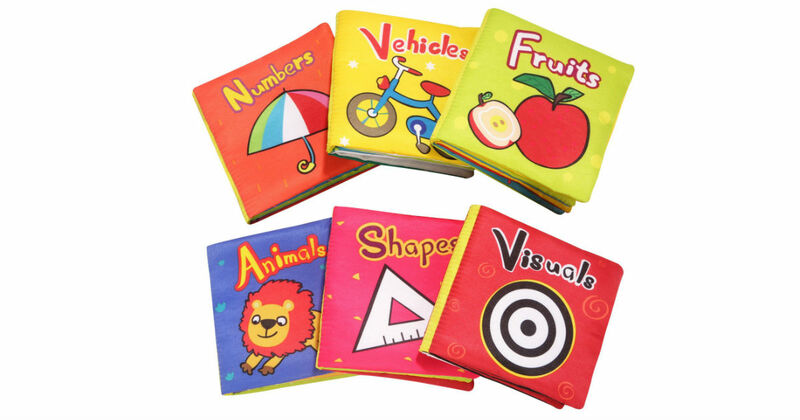 These baby books for infants 6 to 12 months feature numbers, animals, shapes, fruits, vehicles and visuals. Vibrant illustrations with bright colors and touchable textures increase baby's enjoyment of reading and exploring the world.